WT’s Main objective is to provide complete and efficient water and wastewater treatment systems combined with superior engineering capabilities to assure the quality of our products and services. Saudi water technology utilizes speed and accuracy to the world of water treatment activities and provides cost effective solutions that satisfies our customer’s needs. The Key to our success is a young highly qualified and multi disciplinary team. 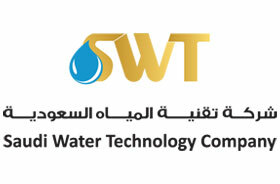 SWT highly trained and well-experienced engineers and technicians abreast of current developments provide a unique standard to SWT’s capabilities to confront problems in the water treatment applications. Thus, our team and the flexibility of range of equipment offer a state-of-the-art design and superior quality that establishes competitiveness in the world of water treatment.